Our Story begins just after World War II in 1947. 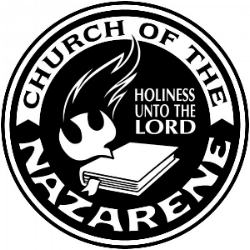 The population of Oceanside is just under 10,000 people and Oceanside Church of the Nazarene is born with 22 people who are passionate about starting a church where people can hear the good news about Jesus. By 1971, Oceanside’s population had more than tripled in size and the church outgrew their current location. The church finds two acres for sale on Las Flores Drive in Carlsbad and in 1973, the land is purchased and the name is changed to Las Flores Church of the Nazarene. While facts and figures are important aspects of history for us to know, it’s just as important for us to be aware of the heart that shaped that history because it continues to shape our current story. What was true about the heart and passion of those 22 people in Oceanside in 1947, is still true about Las Flores Church today. We are still passionate about people hearing the good news of salvation through Jesus Christ which is why our purpose as a church community is to know the love of Christ and make that love known. We are utterly convinced that Jesus is the answer to the most difficult questions that life can throw at us. We believe in His power to save and His power to transform. We also believe that getting connected and being in community is one of the greatest ways to be known, loved and cared for. It’s being in an authentic community that growth really happens. In addition to these beliefs we invite you to check out www.nazarene.org where you can learn more about the heart beat of our denomination. If you visit us on a Sunday morning, which we hope that you will, you will find that our worship style is contemporary, the people are relatable, the messages are relevant, our clothes are casual (summers bring out the shorts and the flip flops) and our people come in all shapes, sizes and ages. We love to say that we are multigenerational with our seniors being the coolest group of all! We really hope that you’ll check us out. There’s no way that you’ll leave without having experienced God’s presence.